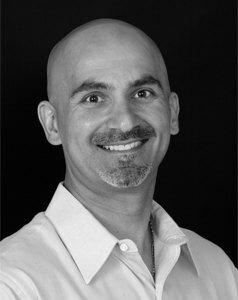 Aram began his career as a REALTOR® in 1992. At the onset and to begin building a strong client-base, Aram hosted his own first time home buyer's seminars at local lending institutions and banks. This enabled him to develop relationships with many first time home-buyers and individuals relocating to the area, while also educating consumers on the intricacies of the real estate market. Aram was raised in Skokie, a diverse community nestled between the city of Chicago and many of the other desirable North Shore communities. Through the course of his career, Aram has gained extensive knowledge in all types of real estate. Whether it is a condo, townhome, single family or investment property, he guides his clients skillfully through any purchase or sale. Aram services clients from the north side of Chicago to Lake County, and as far west as Schaumburg and Arlington Heights. Aram has built a very strong referral based business, primarily in the Skokie, Evanston, Glenview and Northbrook communities. In the late 1990's, Aram was consistently awarded as a Top 1% Realtor in the country. At this time, Aram's business shifted as many of his clients began to need assistance in investment properties and developing tax shelters for their wealth. As real estate continued to be an advantageous investment opportunity, Aram took on a direct role in managing the selling & purchasing of development and investment properties in his clients™ portfolios. As the mortgage crisis arrived in 2005, Aram's clients were well protected with the skillfully diverse portfolios he put into place for them. They were able to maximize their return and minimize risk - a formula for success in any market. Before joining @properties, Aram was a top producer for RE/MAX real estate for 15 years. As the industry changed in the early 90's, Aram found that the RE/MAX system allowed him to grow his business to new heights. As the dynamics began to shift in the real estate industry, Aram felt it was important to stay ahead of the curve. While many companies practice a style of business created 20-30 years ago, Aram found @properties to be an organization built on innovation and technology that is changing the way real estate is practiced today. With over 1,000 agents, @properties is a "community" of real estate professionals that are shaping the face of real estate in Chicago and its surrounding communities, now and for years to come. Since 1996, Aram has performed property management services for many of his clients. Some of them are local, some of them are overseas. As opportunities for his clients arise outside of Chicago, they still love their homes and wish to return to them after their employment abroad is complete. Having placed occupants in over 100 rental properties for these clients, has put Aram in a position to carefully screen and manage these properties for his clients. This allows Aram to offer a full array of residential services in buying, selling, rental, or property management. "Aram provided comprehensive background information that really helped us understand the realities of the marketplace and gave us excellent advice in the pricing and marketing of our home. He was helpful and attentive throughout the process, and he truly made the experience of selling our mother's house a much less stressful experience. We wholeheartedly recommend Aram -- he is a pleasure to work with from start to finish."